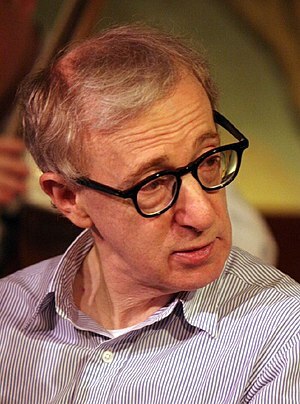 “80% of success is showing up.” So says Woody Allen. In my particular case as a first time participant in a marathon relay, the quote is apt. I was registered on a 60+ Age Group Team at the Harrisburg Marathon. We placed first in our category. We were also the only team registered in that category, but no matter. Just apply Woody’s 80% rule. Team Captain Brad pointed out that had we registered for the Masters Division, we would still have placed first. And why not? Amongst the four of us, we brought more than 150 years of running experience to the relay. How is it that this is my first relay experience? Well, it was the first time I was asked to join a relay team (thanks, Brad). And, I really love distance running. 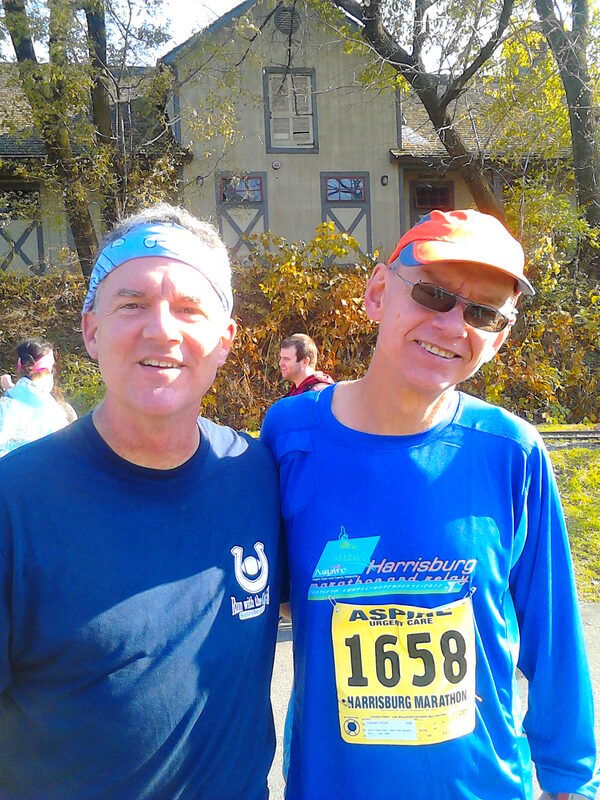 It was only the expectation of the relay coming on the heels of the NYC Marathon a week earlier that enticed me to forego the full Harrisburg Marathon and say yes to the relay. Asking our team captain what I needed to know to run the relay, his response was “Be looking for Greg to approach the relay transfer, move the chip from his ankle to yours as fast as you can and run as fast as you can.” O.K. , I can do that. The relay assignment gave me a new understanding of my strengths and weaknesses. As 3rd leg runner, roughly a 7.4 distance beginning at around the 13 mile point on the marathon route, I was to cover the section with some fairly tough ascents and descents. After the hand-off (or ankle-off) from Greg’s arrival at the transfer point, I joined a bevy of runners on the marathon course. As I approached the hills, I was suddenly surrounded by the 8.5 mile pace group, their pacer shouting out to his flock notice they were entering the hills followed by all types of encouragement. Since 8.5 is more a 10K pace for this 9.5 pace marathoner, I made an instantaneous goal to stay with them. I took side glances at their running style, their stride, assessing what makes an 8.5 minute mile marathon runner. 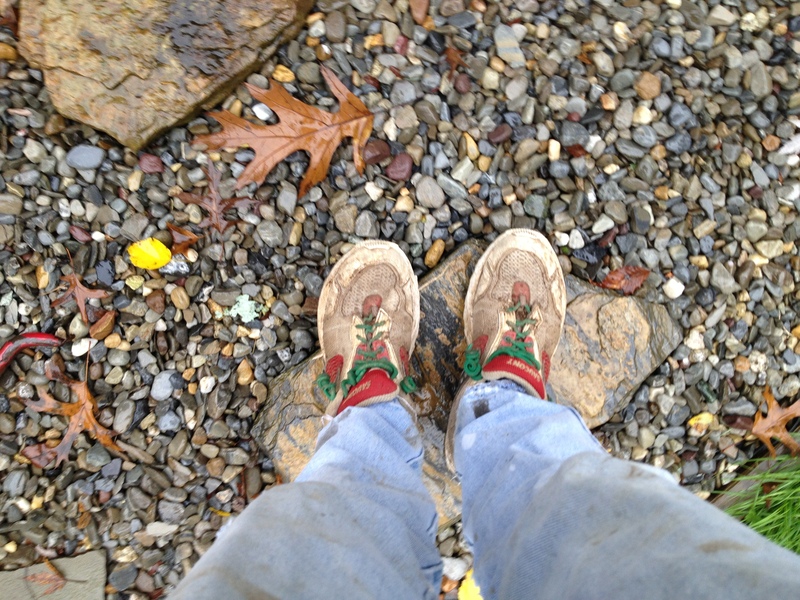 I stayed with them through the first several uphills and mild downhills and flats. When the downhills grew more extreme, the fraidy-cat button in my brain turned on and I slowed my pace, cautious of freshly fallen leaves on the trail. The 8.5 minute mile runners surged around me like moths flitting by my ears. Huh? How is it I kept pace with this group on the worst of the uphills to be left in the dust on the downhills? Note to self: Take the opportunity during the winter to work on your downhill posture, footing, and mental courage to emerge a stronger downhill runner in the Spring. Exiting the park, I could see the 8.5 pace sign a quarter mile ahead of me. One more turn and I was within shouting distance of my relay transfer point, but certainly not within shouting distance of the 8.5 mile pace group. The pacer’s sign was a white spot in the distance. I quickly removed the chip from my ankle, transferring to Brad for the final relay leg. 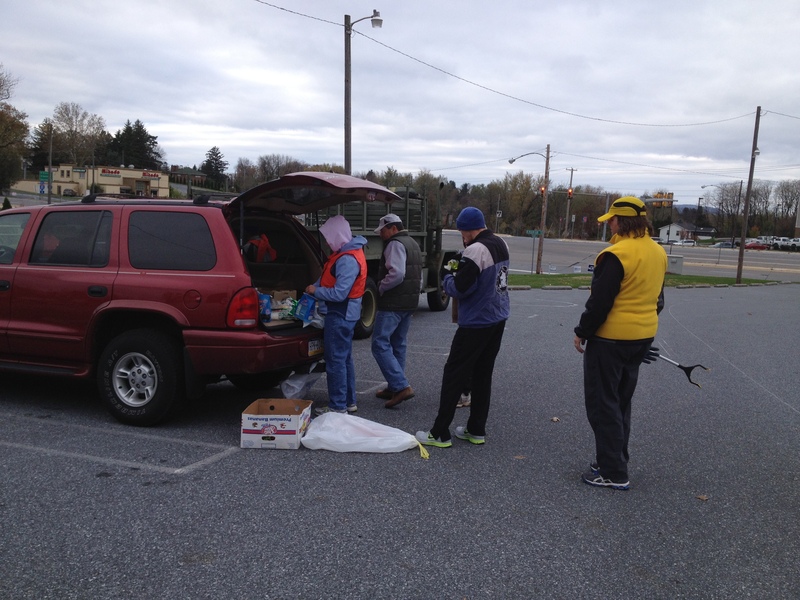 With a wave of thanks to the volunteers working the transfer station, I was off to join my team and the festivities at the finish. Looking better at the finish than at the start. Runners never know where the quest to run a marathon will take them. Those registered for the storied New York City Marathon likely didn’t envision that plans and dreams to run that marathon would lead to Harrisburg, Pennsylvania. 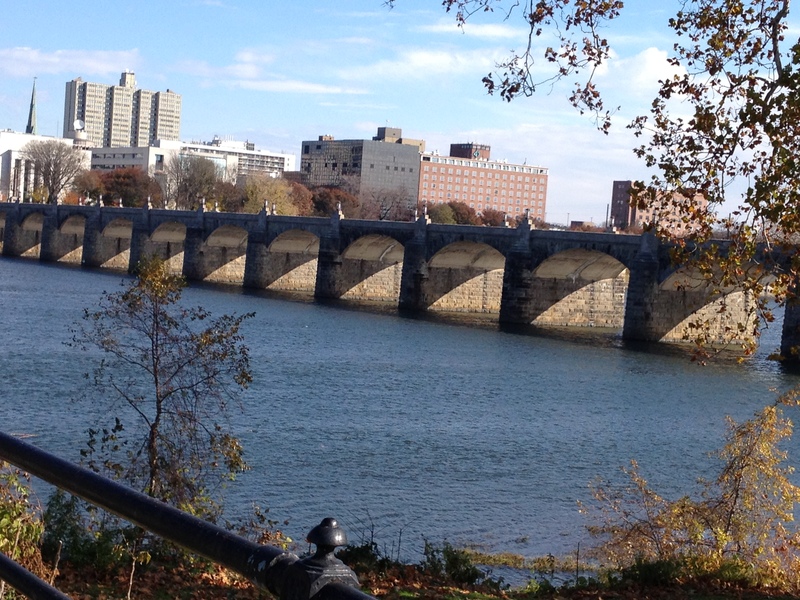 With the race dates a week apart and NYC cancelled, Harrisburg – a mere 3+-hour train ride from New York City – became an in-demand marathon to substitute for the finale of a summer and fall training season. 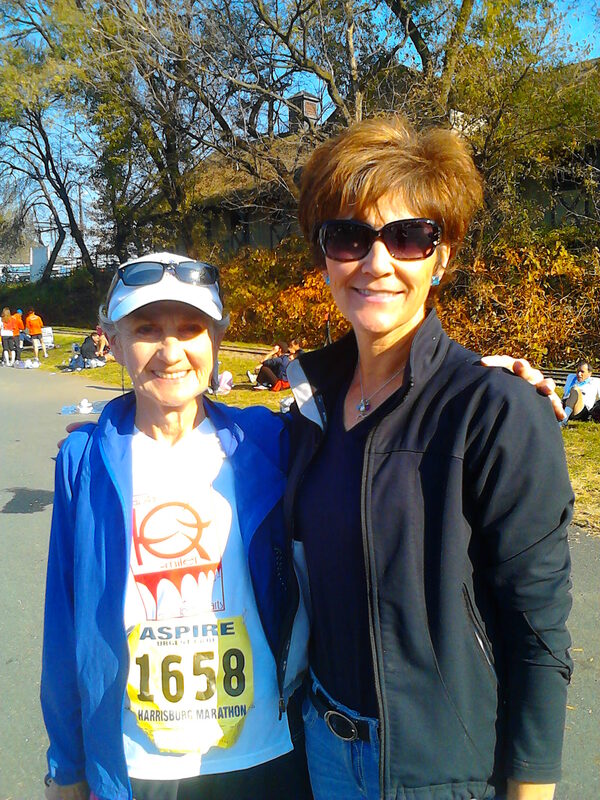 As a senior runner who writes about senior running adventures (and misadventures), I’m sure that the many runners in the 60+ age groups have their own stories to tell. Roughly 70 runners and walkers in those age groups made their way from Brazil, China, Canada and across the United States to NYC, then revamped their course to Harrisburg. For runners of all ages, our well-kept small town marathon secret became one of the havens for runners from the Northeast United States and internationally. Like the good host or hostess who suddenly finds their guest list has doubled, the Harrisburg Marathon and Harrisburg Area YMCA set about ensuring that their expanded guest list would have shirts, medals, support on the course and food at the end of their marathon journey. 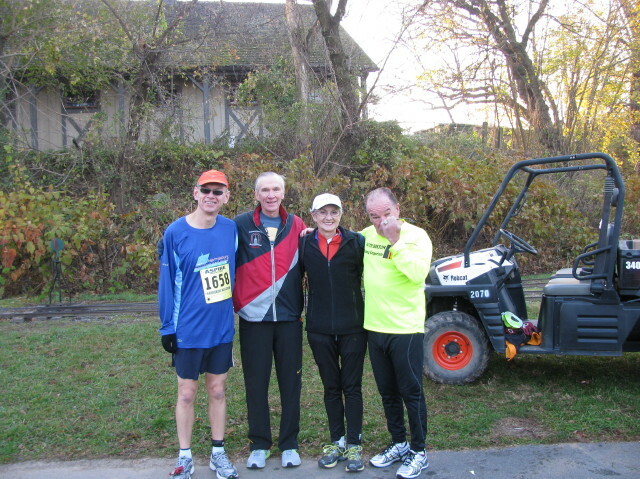 Likewise, the influx of registrants post-NYC cancellation were the ideal guests, with compliments on our scenery, fresh air, friendly atmosphere and a well organized event.Their children were charmed by the chickens and horses housed in the barn on City Island, within a block of the race start line. Those fortunate enough to land rooms in downtown hotels found the start and finish lines were roughly a 1/2 mile walk/jog across the Susquehanna River to City Island. Runners originally expecting a marathon start at the Verrazano Bridge, were enjoying beautiful, slightly warm weather with a start on Harrisburg’s Market Street Bridge. A turn onto Front Street took them past historic buildings into downtown Harrisburg around the Capitol Complex, then treated them to our Greenbelt and Riverfront Park. They passed through city neighborhoods and a brief stint through an industrial road and the Harrisburg Area Community College campus. At the appropriate distances along the course, signs appeared indicating the 5 boroughs of New York City. The mostly flat, mostly scenic course surprised some out-of-town guests as they approached the hills in Wildwood Park. The final six miles brought them back down the river to City Island food and festivities. As warmup clothes were pulled from the bag check, apparel from the Central Park Track Club, the Van Cortlandt Track Club, as well as shirts and jackets from the Bronx were well represented. 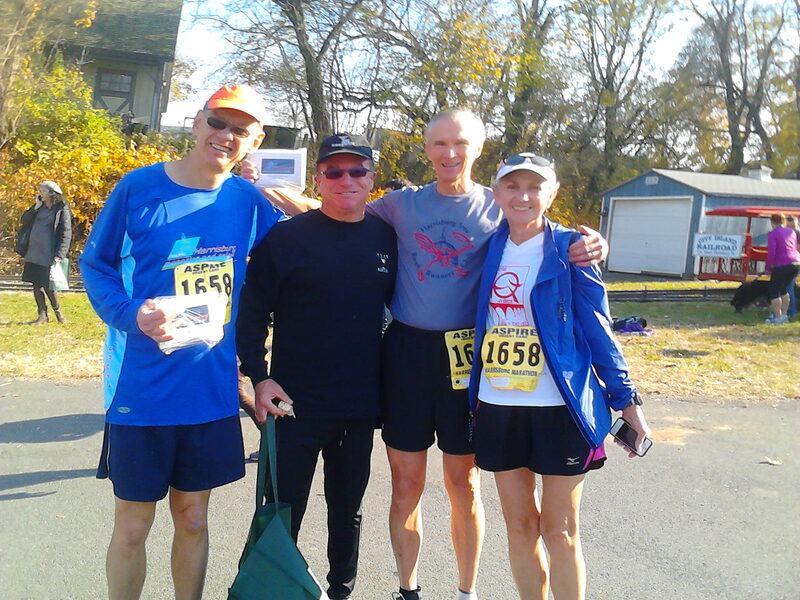 As some of our guests hurried from the finish line to the next scheduled train back to NYC, they took with them some new-found friendships, an appreciation for this small town marathon and many of the age-group awards. In the following days, Facebook and Twitter lit up with accolades for an unexpected journey to a fantastic marathon. It was great to have you visit. Come back and see us again! The dilemma of the last few weeks described in my earlier post on marathon taper versus garden cleanup, hauling around bags of mulch, using my stores of energy reserved for the ING NYC Marathon, all that became moot. My concerns, at least regarding tapering, ended when I cancelled my race registration, later followed by a cancellation of the marathon itself. What a minor worry when we look at the lives and neighborhoods along this country’s shoreline that are struggling. They will be fighting their way back for months, perhaps years, to come. During the week prior to the NYC Marathon, I took a peak at the latest Salty Running post. For those not familiar, Salty Running is a high energy blog written by a collaborative group of spicy women runners who are serious athletes, serious about their training, honest about the ups and downs and at the ready to help other women with training. 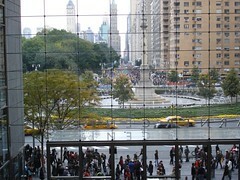 I chimed in with my perspective at that moment on the wisdom of holding the NYC Marathon. I later learned I was selected as “commenter of the week.” Celebrity at last! I’m including links to their post Comment of the Week – Salty Running followed by my response to their question What to Do When Your Goal Marathon in Canceled. The Salty Running posts and feature on my comment gave this fledgling blogger a not-to-be-missed opportunity to promote my local running community and races (notice the links peppered throughout their posts). We may love to get away to big name races and a change of running scenery, but it’s our local running community that keeps company on the roads and trails, switches roles in directing and volunteering for one another’s races and causes, and does its part in community service just because that is what we do. All of which says we don’t know what life has waiting for us around the corner. It may be an opportunity large or small, it may be life-altering devastation, or it may be just another day seeing the sun come up. We may be smugly following our carefully laid plans, or standing by helplessly watching as our plans are laid low. We could be running a large, glamourous, international marathon or we could be picking up trash along the highway. Preparing adequately for a late fall marathon and keeping an unwritten care contract with your garden can generally both be accomplished. Weather and falling temperatures usually provide a degree of cooperation. Not this year. The dilemma comes in this year’s collision of timetables: the two weeks to taper and reserve energy for the marathon and the window of time nature gives us to put the garden to bed occur simultaneously. Two weeks before my next marathon and we had not yet had a killing frost. Weeds, weeds, weeds. To avoid their headstart for 2013, I donned my gardening gloves, my worn, torn, outdated Gloria Vanderbilt jeans, retired Saucony running shoes, knee pads, and trowel and made my way through the foundation beds, knowing that if the warm weather persists, weeds will be sprouting anew tomorrow. I did my best to plan garden activity in advance of the marathon taper weeks. In September, I extended beds and planted bulbs for Spring enjoyment. Tape measure in hand, I positioned bulb groupings to encircle the bottom branches of a spruce tree. During my first taper week, I noticed that my carefully spaced plantings of bulbs were scattered across the surface soil. Rabbits? Squirrels? Out of frustration, I buried them where I found them. It will be a sight to behold come Spring. In defense of my backyard creatures, it appears we may be headed into a rough winter. They are scrounging about for any kind of food to store. 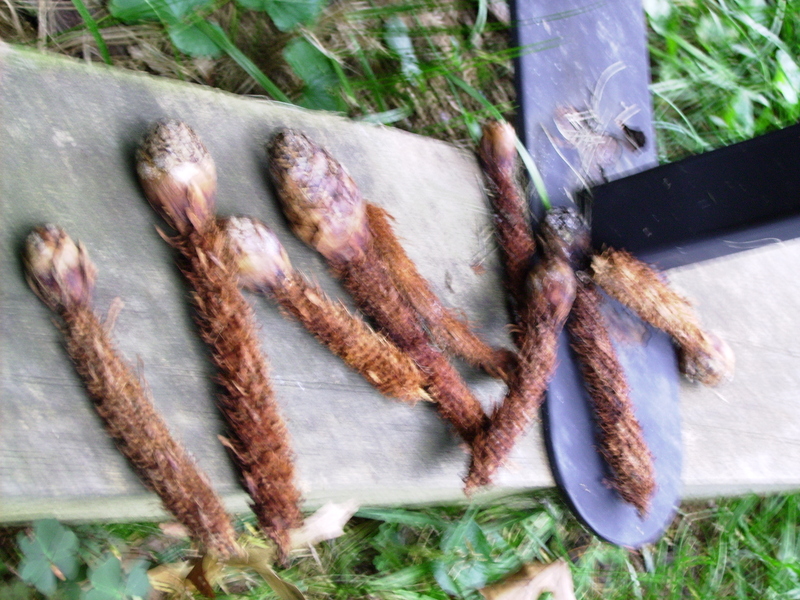 A number of cones from our spruce tree now look like miniature corn cobs, fodder for their winter stash. Still in my first marathon taper week, I learned the waste authority has mulch available for residents. 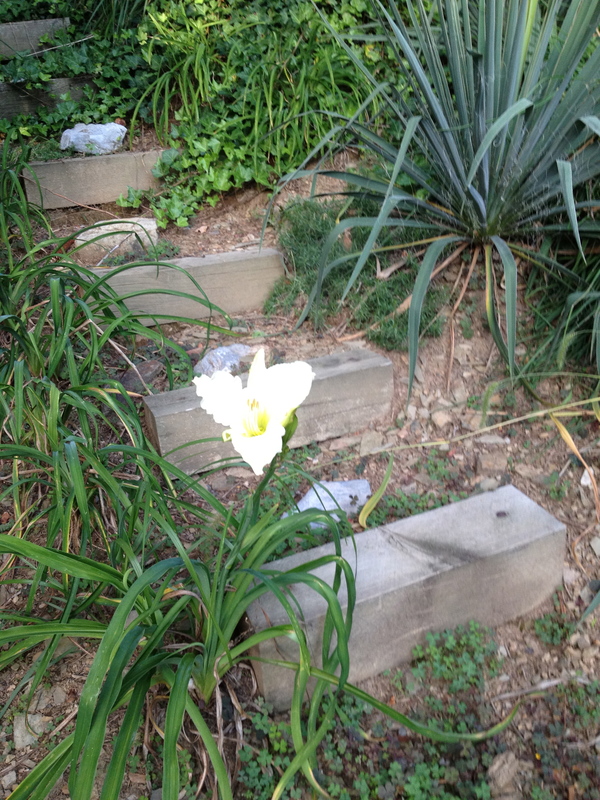 What gardener could pass up the opportunity? With bags and barrels in tow, I make three separate trips, shoveling mulch into containers, unloading them from SUV into garden wagon, marching them to the neediest garden spot, protecting plants from winter’s coming bite. My final unplanned taper activity resulted from a generous neighbor’s offer of a fresh root from his gooseberry bush. Of course, that summertime offer arrived during my October taper week. How often do I receive a gooseberry root, delivered to my door ready for planting? Taper looses, gooseberry bush wins. I dig a hole deep enough to cover the crown and wide enough to let its long roots breathe. Marathon morning, I will pay dearly for the energy exerted hauling bags of mulch, digging holes, weeding on hand and knee. So be it. Returning to the warm indoors, I brush off the excess dirt and seek shelter ahead of Superstorm Sandy, knowing the garden is mostly put to bed. 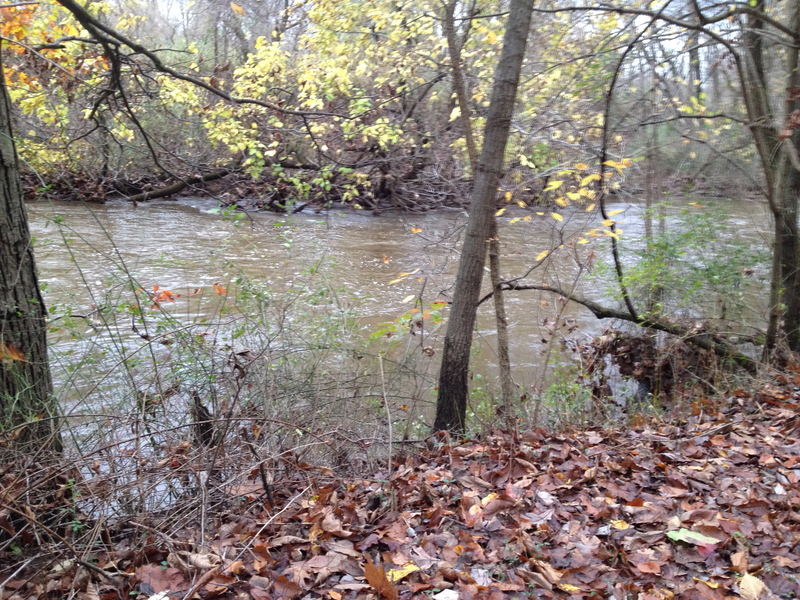 As Sandy leaves with just a few squalls in her wake, I look ahead to marathon weekend, take a short solo run and stop along the Yellow Breeches in awe of the power in its swollen banks.